Just a few months ago we had the unfortunate duty of announcing HKS' decision to close the doors of its US Operations. 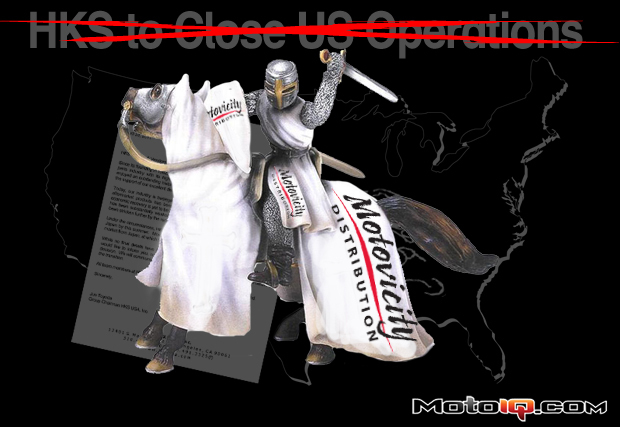 Now we have the pleasure to announce some extremely exciting news delivered by the knights in shining armor at Motovicity. Take a look at the memo we received just a couple days ago! 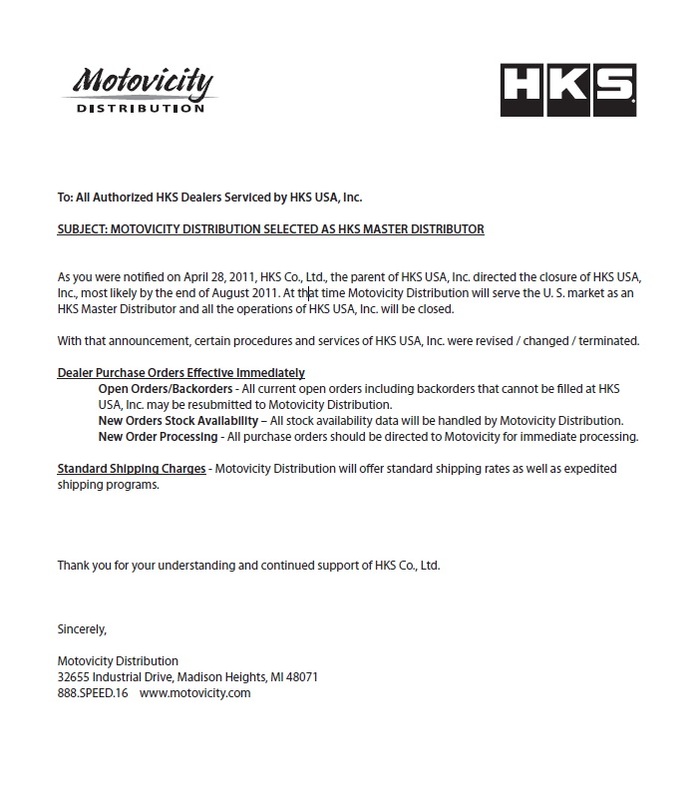 Now we can be assured that the availability of HKS parts in the USA can continue and the HKS line will be serviced by one of the most reputable distributors in the industry. Now that the continuation of the HKS line is assured, please support dealers and distributors of real parts like HKS. Save your money and buy the real thing. Don't buy fakes and jankey copies. Support your industry!